ArborCare Tree Service is one of the most reputable arborists in Edmonton. 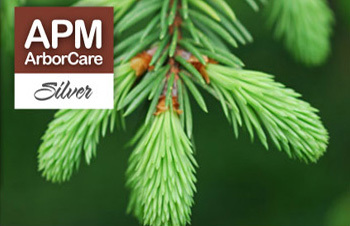 We provide a broad range of tree and plant care services to residents and property owners throughout Northern Alberta. An attractive landscape requires more than professional tree trimming and pruning. It must be free of dead branches, dying trees, and blighted tree stumps. It must be protected against cold-weather tree collapse and tree diseases. This takes specialized arborist equipment that goes beyond the general tools offered by gardeners and landscapers. Only ArborCare – Edmonton’s tree removal experts – can complete these tough projects, putting certified arboriculture technicians on the job. Receive a quote for your next tree service in Edmonton. One of our ISA Certified Arborists, Kyle Lane, operating a bucket truck. Our Certified Edmonton Arborists are licensed, bonded, and insured; proof that you—and your trees—will be in expert hands. We also have equipment other Arborists lack. We work with a variety of residential customers, from individual property owners to large homeowner associations. Our commercial partners span the range from small tree-lined office buildings, to golf courses and large institutions. Residential Tree Services include tree planting, pruning and restoration. We also offer tree removal and stump grinding services. Homeowners trust ArborCare to consult and assess their tree-oriented landscaping projects. Commercial Tree Services including emergency storm response and snow removal are among our most sought-after commercial arborist services. We also manage commercial tree care for organizations that wish to maintain their tree-lined landscapes. Golf courses often rely on our expertise to keep their fields healthy all year round. Utility Providers often rely on our specialized knowledge and equipment for fast, cost-effective line trimming, mulching, and tree removal. We also offer land clearance and right of way maintenance services ideally suited to the needs and concerns of utility companies. Delivering professional tree services in Edmonton is not without its challenges. Naturally, sub-zero weather and regular winds have a pronounced effect on tree cutting and removal services. Tree Trimming and Pruning: The combination of ice, snow, and wind in Alberta can create harsh conditions for trees. It can physically damage tree bark while sapping much-needed moisture from the soil. Tree pruning is essential for maintaining the growth, structure, and integrity of a tree. Regular pruning minimizes the risk of broken limbs and falling branches, and a properly pruned tree will have fewer diseases as well as clean, even growth. Storm Response: ArborCare’s snow removal and storm services help to ensure trees stay healthy even through the most punishing winters. Our team can treat frost cracks and strengthen struggling trees, preventing the expense and potential injury of sudden tree collapse. Tree Planting: When residential and commercial property owners need new trees planted, our team delivers picture-perfect results. We treat the soil and maintain our planted trees to ensure they enjoy the best chance of long-term flourishing. Mulching: One of the ways ArborCare technicians help keep trees healthy is by mulching the surrounding soil. This can help retain moisture in the soil and make sure the tree does not suffer from winter dryness. Insect and Disease Control: In the summer months, insects can become a serious problem – both for trees and for humans. 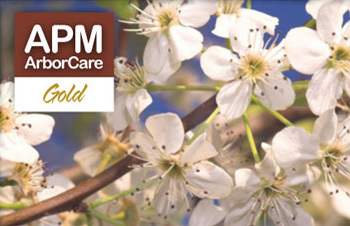 We offer our customers an extensive Insect and Disease Control program to keep your trees insect-free and safe from issues like bronze leaf disease. Call or submit our online form for general questions about us. To Request an Estimate for your Residential or Commercial services, submit here. We look forward to serving you! From cold, unpredictable winters to hot, dry summers, Alberta’s climate presents challenges in the care and preservation of trees and shrubs. At ArborCare Tree Service, we are prepared to handle whatever weather is thrown at us. 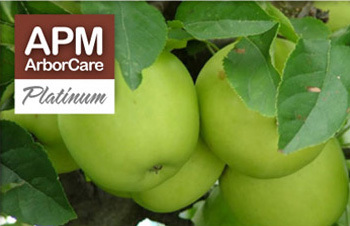 We’ve designed 4 Plant Management Programs to improve the health of your plants and ensure their tip-top shapes year-round. During the spring and fall seasons, our experienced arborists provide root zone fertilizing, as well as foliage sprays and washes. During the winter, we offer anti-desiccant to protect your plants from dehydration and damage. Additionally, we provide specific insect control when conventional methods are ineffective. We only use environmentally friendly systemic insecticides to keep pests under control without harming your family, your pets or your environment. Receive a quote for your next tree service. Our certified technicians have the tools and knowledge needed to deliver best-in-class tree services, from tree planting and pruning to stump grinding and tree removal. ArborCare’s licensed, bonded, and insured technicians will ensure your trees are in the right hands, regardless of the scale or difficulty of your project. We follow a strict code of ethics to ensure that our customers are treated well and fairly. If for any reason you are not satisfied with our work, we will return to re-diagnose and repair, if necessary, at no additional cost. When can you prune trees? Pruning can be done year-round as needed. (With the exception of flowering trees which cannot be pruned when flowering, and Elms which must be pruned usually when dormant. Provincial laws and local city bylaws pertain to the Elm season.). There are differences from season to season, species to species, but not to worry! Our arborists are trained to tell the difference between deadwood and live wood even in the winter! Other trees such as Maple, Birch, and Walnut are known sap bleeders in the spring and should be pruned while in leaf. How can arborists help provide the optimal services for your tree health and beauty? While a green thumb is handy, our ISA-Certified Arborists take professionalism to the next level by being well-versed in tree care as well as the equipment used to keep trees and shrubs healthy through a variety of multi-level plant maintenance programs. What are the benefits to hiring professionals to take care of your property? ISA-Certified Arborists adhere to a strict code of ethics to protect both customers, trees, and the environment. 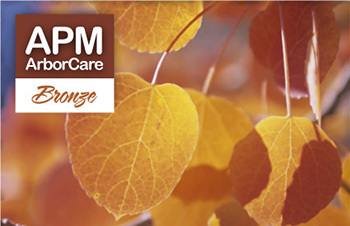 In addition, ArborCare is the first company in Canada to be accredited by the Tree Care Industry Association (TICA). That means we comply with current industry standards and best business practices, excel in customer service, provide ongoing employee training, and much more. ArborCare is properly licensed, insured and bonded with current workers compensation coverage. Your satisfaction is our priority because we listen to your needs to ensure you will be proud of the health and beauty of your trees. Contact us today to confer with our team of certified arborists!